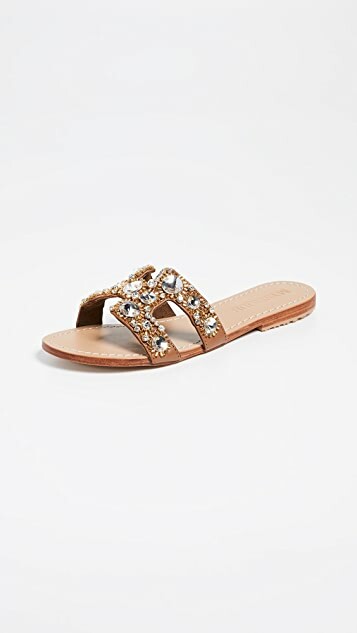 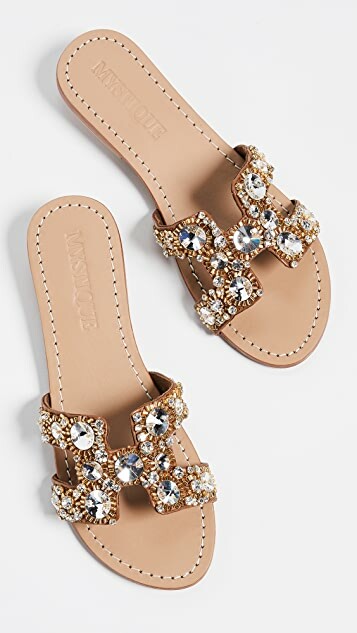 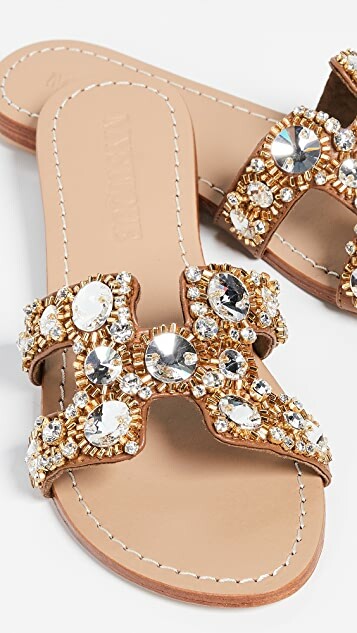 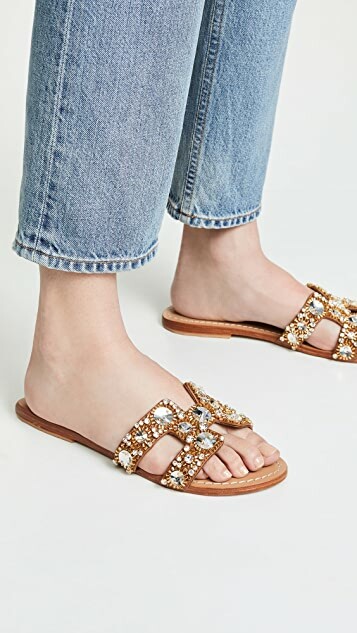 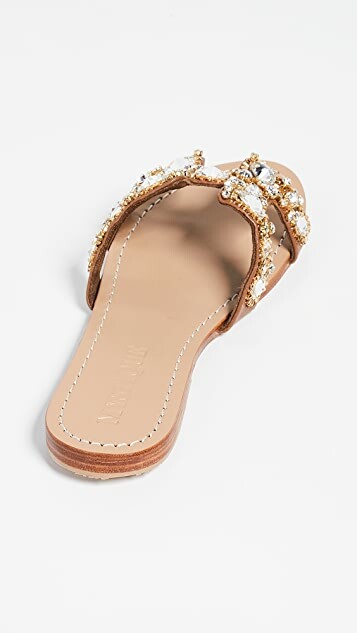 A favorite silhouette for summer with a dressier finish, these Mystique sandals blend the ease of slip-on slides with an eye-catching array of dazzling crystals and intricate beading. 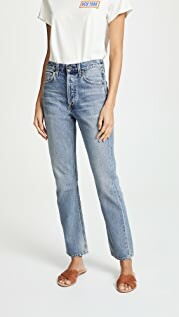 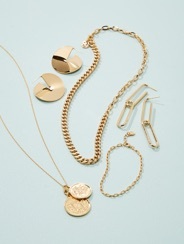 Mystique is a family-run, Los Angeles-based lifestyle brand that was launched in 1999 by Yamin Levy and his wife Dorien. 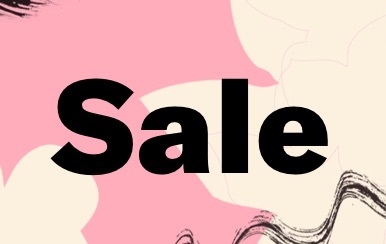 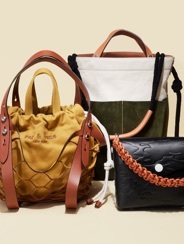 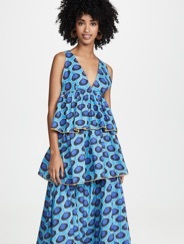 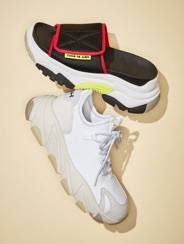 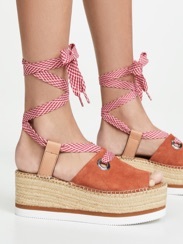 Originally focusing exclusively on handmade sandals crafted by Balinese artisans, the line has expanded to include handbags that incorporate the brand’s signature resort aesthetic. 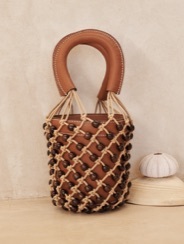 Mystique handbags and sandals have been made in the same small family-owned factories in Bali since the brand began, and Mystique and the Levy family give back to the place they love through funding health, social, and educational programs for that community.